Description: This conductive fiber is super interesting! It's great for felting and could also .. Description: While this may look like a bad toupee it's actually an ounce of fine conductive fi.. Description: This is about 325 meters of conductive thread spun from stainless steel fibe.. Description: Have you ever been listening to music on your MP3 player and a song you don't want.. Description: This knit jersey conductive fabric is 63% cotton, 35% silver yarn and 2% spandex. .. 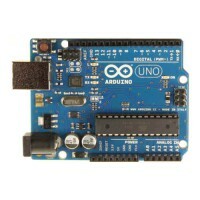 Description: This is LilyPad Arduino - the main board consisting of an ATmega328V with the Ardu.. Description: The LilyPad Simple just got a whole lot... simpler. We've updated the Simple board.. Description: A small, but mighty power supply. This board was designed to be as small and incon.. Description: Description: Blink any color you need! Use the Tri-Color LED board as a simple ind.. Description: This conductive material (also known as "Velostat" or "Linqstat") is a nice additi.. 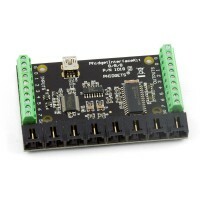 Description: The ProtoSnap series is a new way to prototype your project without a breadboard. Ever.. Description: Connect this to that without soldering using these handy mini alligator clip test .. 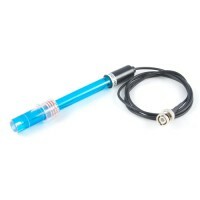 Description: A vibration motor! This itty-bitty, shaftless vibratory motor is perfect for non-a..